Fence Guard | Hoover Fence Co.
Chain Link Top Rail Fence Cover - Type FG (Fence Guard™) - Eliminate chain link injuries and add some sparkle to your park. 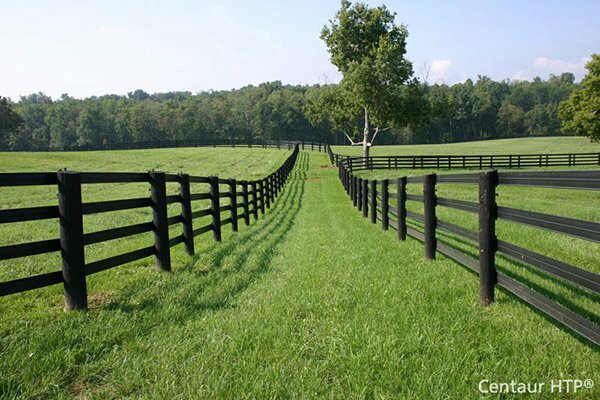 Our premium quality protective fence covers offer the highest level of protection. Don't be fooled by low cost, thin walled look-a-likes, demand the best! The professional teardrop shaped profile is easy to install with just one person. 7' and 8' long sections can ship UPS saving up to 75% freight cost. Exterior grade UV resistant polyethylene construction is maintenance free and is designed to be the longest lasting fence cap available. Fence Guard™ is pre-drilled every 24" and includes ties for securing to the fence. Available in three grades of durability to meet any budget. With 6 attractive colors to choose from, coaches and athletic directors can match their school colors, creating a beautiful appearance. Usually ships in 10-15 business days. Length refers to total coverage length. Some grades/colors are sold in cartons of 80' (10 - 8' sections) while others are sold in cartons of 84' (12 - 7' sections).